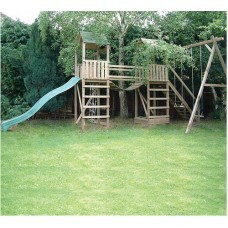 We have a large range of wooden climbing frames suitable for children of different ages and abilities. All of the playcentres feature slides, swings and cargo nets. 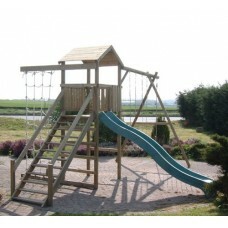 Some of the wooden play centres also have sleeping cabins, wooden platforms, sandpits and seats. 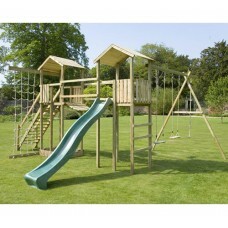 All of our wooden climbing frames carry a 10 year guarantee against rot and insect infestation on all timber sections. All ropes, accessories, slides, and faulty workmanship are guaranteed for 12 months.